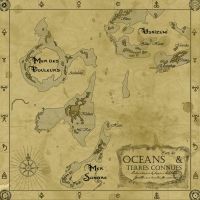 It isn't a secret for anyone here that I love maps, and like making and perusing them. 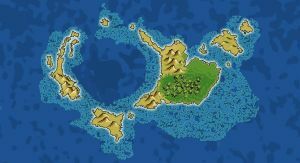 Before the forum change, I had opened up a thread where people would ask me to make maps for their games, and I'd try do do something nice for them. After that, my computer crashed and burned, and I had a bit of trouble re-installing photoshop on it (and then my tablet stopped working and I moved around the world for a year or so) so I stopped. 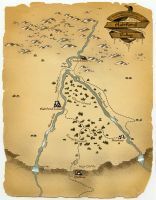 Maruba, the universe of the Desert at the Center of the World. 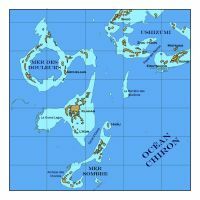 Three maps of Samudra, a rpg universe inspired by EarthSea. 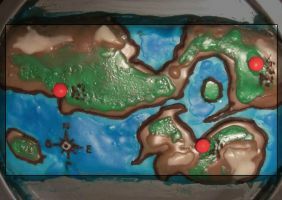 And my last piece, a cake map I made for my birthday. - those aren't commisions, which means you don't have to pay me, but keep in mind I also do it to experiment : the style may sometimes change at time as I try out new stuff. - I'm not sure I'll do city maps. They can really be time-consuming, so you can ask for them, but there is less chance of me responding in the positive. I'm not saying I won't do any, just that it's harder. - I'll try to finish any map I'll start, barring further computer issues. - I'm not doing any cake maps for you. Unless you also want to come and eat the cake, in which case, sure, I'll do them. 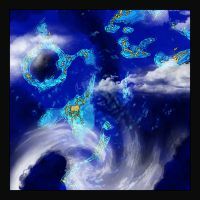 So, what parts of Creation (or beyond) do you want me to map out for you? ooh awesome. 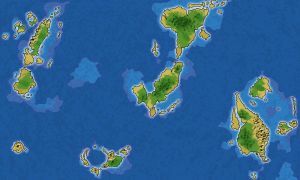 Reckon I could get a map for my game? http://www.obsidianportal.com/campaigns/belicht ? 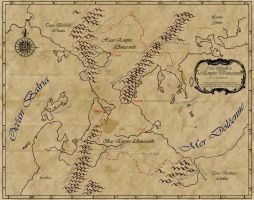 I can send some photo/scans of the hand drawn map I have... - just an overall region map . 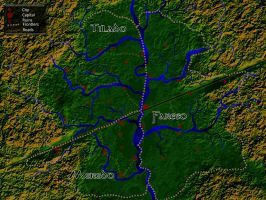 its the area north of chanos, underneath the Dehennan mountains. Last edited by Dionysus; 06-04-2014, 10:30 AM. The hand drawn map is a really good starting point, but I'll probably need you to send me the names by PM, if only so I don't butcher the spelling if I can't manage to read them properly. https://www.dropbox.com/s/15u0teea80...licht_scan.png Slightly better scan of the map. 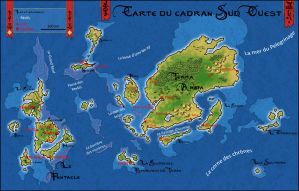 If it is at all possible i always wanted a map of creation that was expanded because after over a decade of playing both 1st & 2nd edition Exalted my troupe have visited just about every place their is in canon & i always felt the map was a bit small. 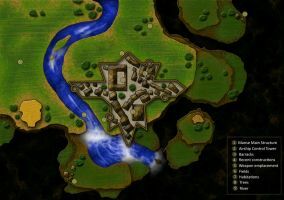 We have created our own towns & cities that we use in our games but never had a map to support it visually. 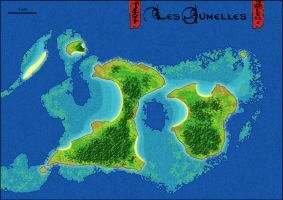 Isn't most of the map empty space in which you can pop down kingdoms the size of France without impinging on anyone important? That is an incredible amount of work. Not something I would attempt so close to the release of Ex3 and a brand new map, and probably not even without that in mind. Sorry! And there we go! Belicht, the country of Eternal Autumn! You can go download it in full resolution on the deviantart page (just click on the image here, and then click the download icon on the right). If you see anything you'd need me to change, just say the word! Edit : changed two spelling mistakes. Last edited by LeTipex; 08-04-2014, 07:16 AM. Always happy to help! I'm really glad you like it, it was a bit of an experiment for me. Now that's a challenge! Could you give me a few more details before I decide whether to embark myself on such an epic endeavour? 1. 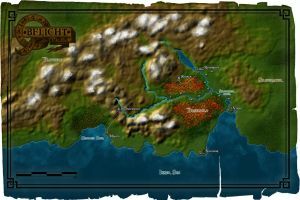 I bring new maps! The Ashford Valley, a diegetic map of a locale for a DnD game. The Sea of Clouds, a pseudo-XIXth century european fantasy setting, a continent floating on (appropriately enough) a sea of clouds and vapor. 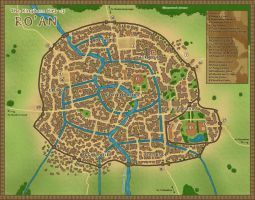 And something I rarely do : a city map, the Kindgom City of Ro'An. 2. 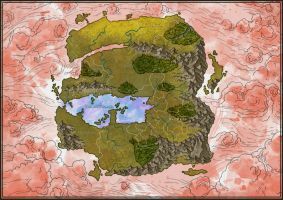 Eric Minton mentionned his interest in the ongoing thread I have on rpgnet, and I told him I'd gladly do a map for his playtest game. Eric, give me more info, and I'll do what I can! More shiniez Ex3 fun!